2016 Whyte T-129 SCR : Featuring Whyte’s award winning 6061 T6 aluminium SCR frame with RockShox Yari RL forks,RockShox Monarch Debonair RT shock, SRAM GX 1×11 drivetrain, RockShox Reverb Stealth dropper post and WTB Asym tubeless ready rims. Other details include Boost hubs front and rear, internal cable routing, Whyte’s ‘intergrip’ intergrated seat clamp system and (like all Whyte full suspension bikes) the main pivot bearings are covered by a lifetime warranty. 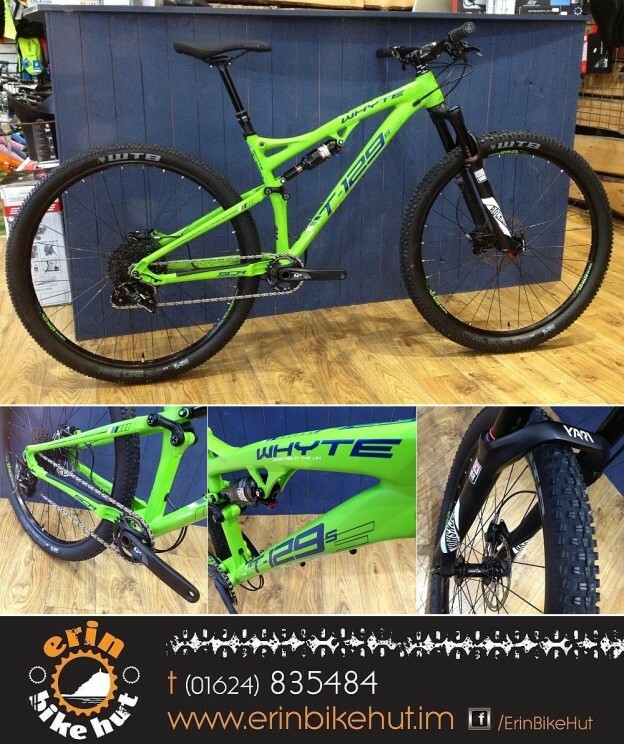 The Whyte T-129 series are the bikes to beat when it comes to 120mm, full-suspension, 29er trail weapons and this bike is outstanding value at only £2299 (with 12 months 0% finance available). This entry was posted in Bike Hut Updates, Mountain Bikes on January 18, 2016 by Erin Bike Hut.